It’s no secret that I love fountain pens. They’re my preferred writing instrument of choice, and not without good reason. Check out the eight reasons below on what I think the best benefits are of using a fountain pen. 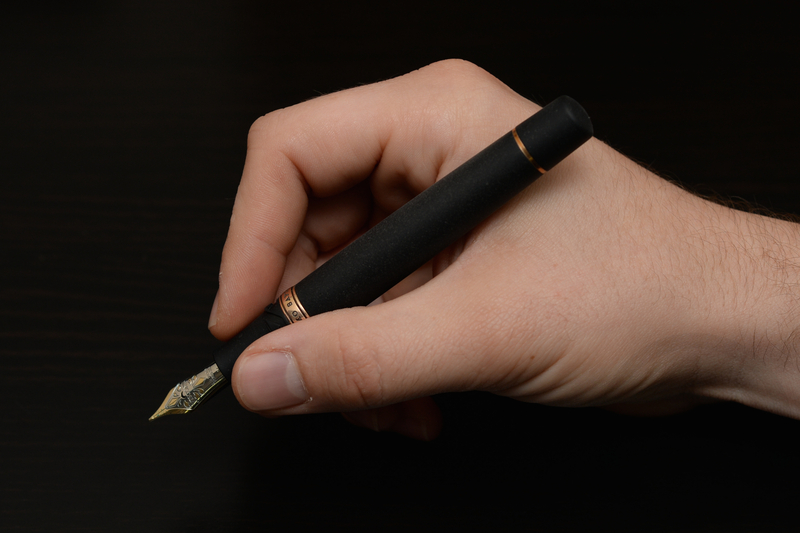 If you’re already a fountain pen enthusiast, share the list to help convert your friends! 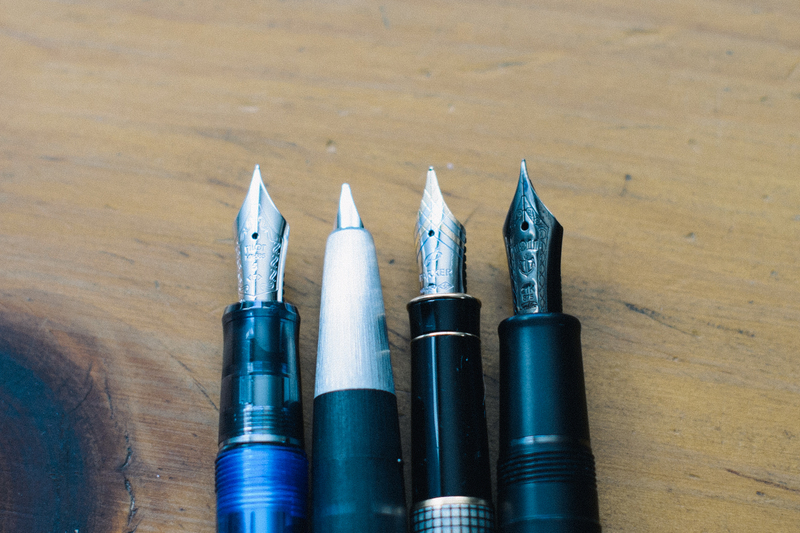 Update: Here’s my Top 7 Beginner Fountain Pens Under $25 article too! Fountain pens are capable of being some of the smoothest writing instruments out there. There are few other pen-to-paper experiences that are like a fountain pen. It’s hard to explain until you try it, jump in with a starter fountain pen and some nice paper and never look back. 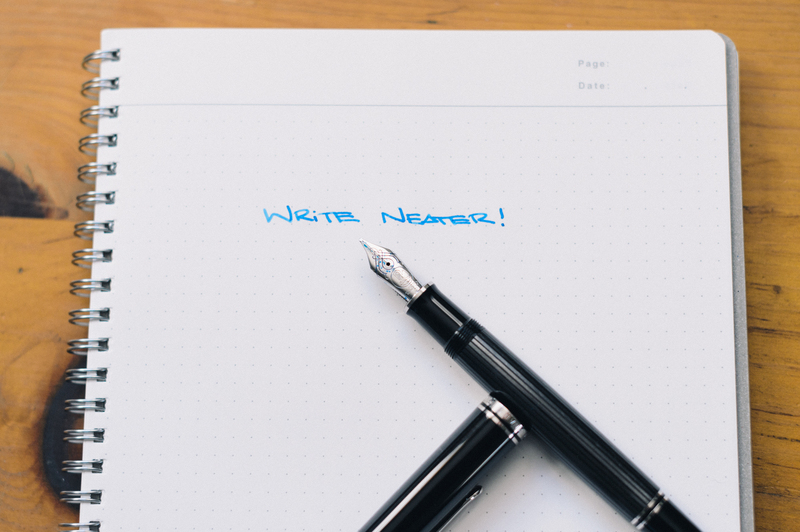 The Pilot Metropolitan makes a great entry into the fountain pen world for around $15. Well, technically there are a few limits, but there are way more fountain pen ink colors available than your standard ballpoint or gel pen. There are many brands of ink out there and they all have different properties.  Smoothness, saturation, shading, water resistance and permanence all vary across brands. There’s a color for every writing situation! 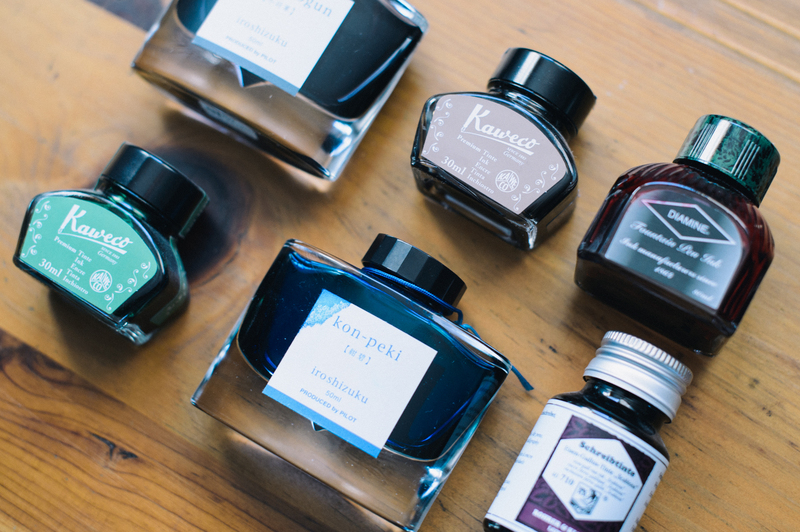 Check out my guide on the 5 Best Inks for Everyday Use for some solid suggestions. 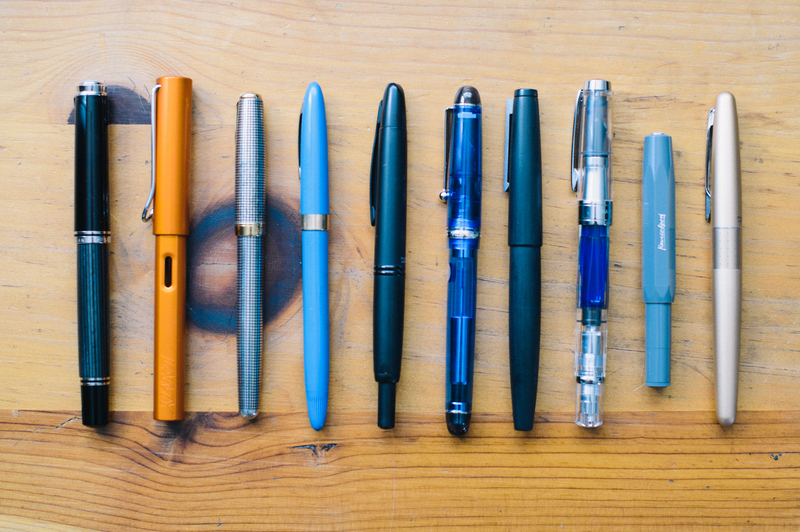 Whether it’s ultra modern and futuristic looking, or an actual vintage pen from 50 years ago – there are tons of style options for everyone out there. Maybe you like the Bauhaus-inspired Lamy 2000 (like me), or a Vintage Parker Vacumatic. Thousands of color options, body materials, nib designs and filling systems mean that there is something out there to suit many different design preferences. Quit throwing away plastic pens when they run out of ink. 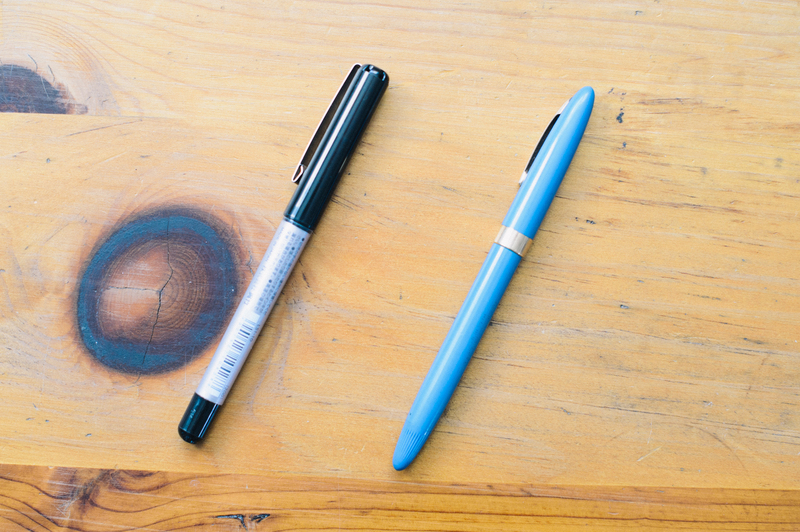 According to the EPA, Americans throw away 1.6 billion disposable pens every year. Society is obsessed with convenience, which unfortunately goes hand-in-hand with disposable items. The pen on the left gets thrown out when it’s done, the pen on the right is from the 1950’s and still works as well as it did on day one. Invest in a fountain pen (it can be as little as $15!) and use a pen you can enjoy for years to come. Stop contributing to the landfill and write with something you’ll be proud to own and maintain. Unlike the skinny, plasticky ballpoint pens most commonly used in an office, fountain pens are made to feel great in the hand. Contoured grip sections (where you hold the pen) and more substantial weight result in a more comfortable writing experience. Again, there are so many options that you are bound to find something you like. The Visconti Homo Sapiens shown above is made out of real lava rock, making for a unique feel. 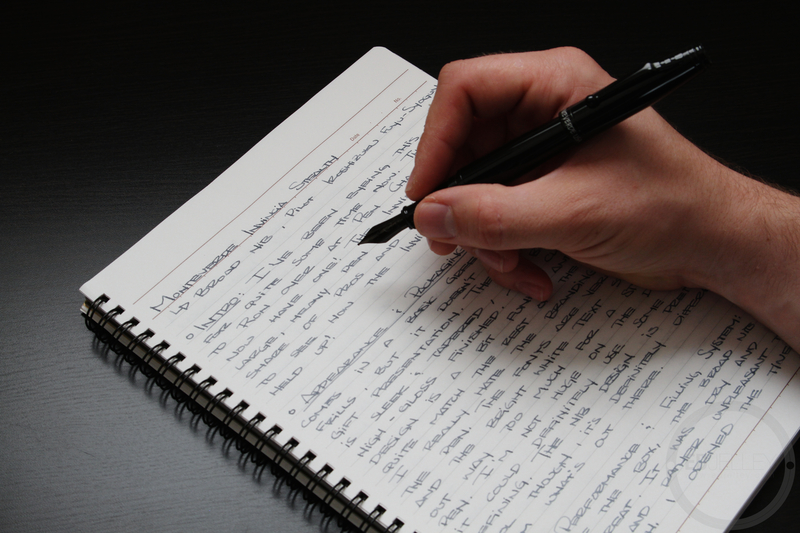 While writing with a fountain pen doesn’t automatically up your penmanship, it can help! When learning how to properly write with a fountain pen, it helps to slow down. This decrease in speed can indirectly force you to take your time when writing out each letter. Have messy handwriting and want to improve it? Nothing like a fancy new pen to help motivate you. Using a fountain pen is an excuse to pick up some nice paper as well. Maybe it’s the inner pen geek speaking, but I find it fascinating that there are several parts and either a steel or gold piece of pointed metal that deliver ink to page. Capillary action draws ink from the internal reservoir through a feed to regulate the flow, all the way to the tip of the pen. When writing with a fountain pen, very little pressure (if any) is needed. Different pens have different filling systems and clear pens (called “demonstrators”) let you see all the inner workings. Tell me that isn’t more interesting than your standard ballpoint?! Granted, you don’t have to go all-in to enjoy using a fountain pen. It’s fun to have something that needs a little bit of maintenance. Take pride in your pen collection by making sure everything is clean. There are plenty of local pen meet ups and there are a dozen or so pen shows across the country. You can take the hobby as far as you want it to go. Everyone I’ve met through the pen world have been incredibly friendly and generous people. Want to get started? I’ve put together three great starter packs at several affordable price points. I hope I’ve made a few good points as to why you should write with a fountain pen! If you already use a fountain pen, what is your reasoning? If you don’t, what’s holding you back? Let me know in the comments below! I have been using a fountain pen since my grandmother gave my first one with I was eight or nine years old back in the 1970’s. Nothing better than a fountain pen. I collect pens. And it really makes me feel happy every time I buy one. But now, I really enjoy using my first ever fountain pen. And my calligraphic handwriting gets better. It inspires me to write poems and stuff. 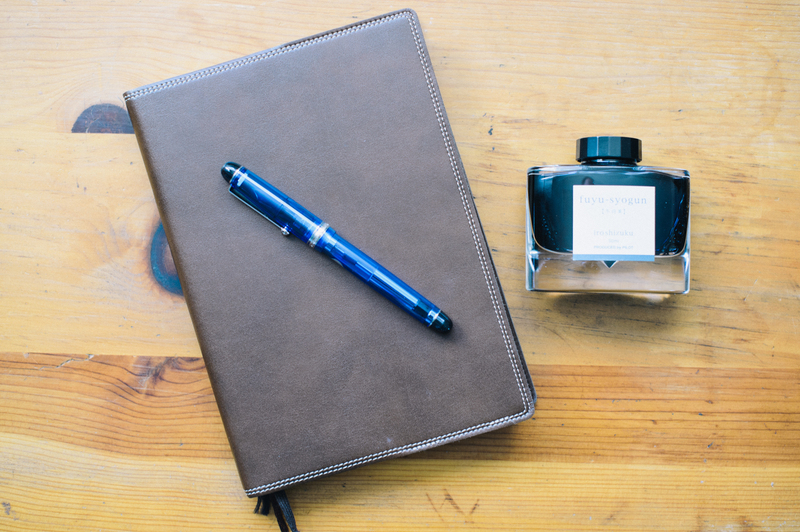 Would you by chance be interested in selling your blue Kaweco Blue Sport? Great post! I agree with all these reasons and I have one more – the uniqueness of writing with a fountain pen when everyone around you is carrying a ball point. Every time​ I take my pen out to write, someone comes up to me to ask if it is actually a fountain pen and how they used to write with them long back! Could you tell me the name of the model on the far left, in the cover picture for the article? I suppose it is Pelikan M400.